Aboriginal women from remote Central Australian communities make artworks ranging from painted journal/diary covers to bead necklaces and carvings. When making artworks, they are strong in their own identity, are happy and relaxed, and enjoy being able to choose which stories they tell, and the way they tell them through art. They earn a standard payment which is decided by Waltja Directors. Sales of the artworks help to support Waltja’s good work with families. 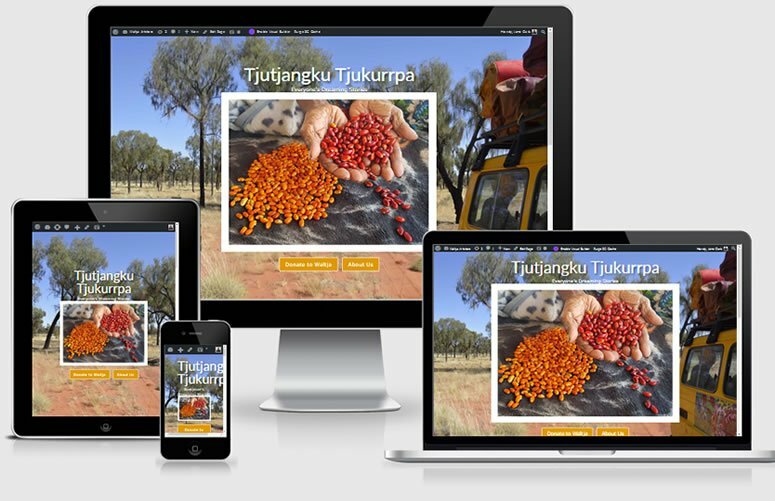 Over 500 people each year are involved in Tjutangku Tjukurrpa, sharing traditional art skills across generations (seed jewellery, wood burning and carving and traditional paint styles) and incorporating and exploring modern art forms (including free paint styles and colours, bead jewellery, bush toys). It is about everyone’s Dreaming stories and keeping culture strong.